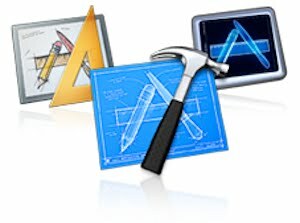 Rixstep is reporting that Apple will start signing up independent developers for Mac OS X 10.7 developer program by early autumn 2010. The website claims Apple will follow iPhone like approach for Mac OS X 10.7 dev program. Membership to the program will be $99 and will include access to Xcode developer tools and online API documentation. 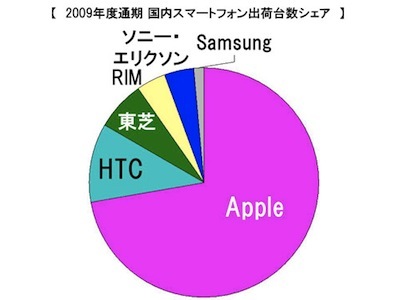 According to MM Research Institute, Japan is the first smartphone market that iPhone now dominates like Apple does with iPod around the world. 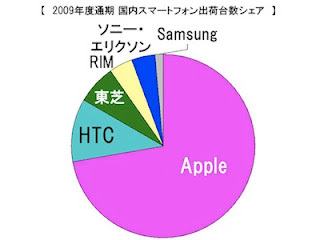 A new study published by the institute revealed that for the fiscal year 2009 ending in March, iPhone captured 72.2 percent of smartphone market in Japan with 2.34 million units. 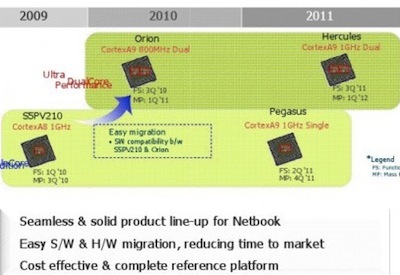 Analyst believe that ARM processors will overtake Intel Atom processors in the netbook and tablet market by end of 2012, signs of which have already started appearing with success of devices like iPad. This has made companies like Samsung who have traditionally used Intel Atom processor to focus on development of ARM processors for their netbook lineup. Before Apple iPad was launched on April 3rd, many questioned its E-reader capabilities and what kind of market share it will gain as an E-reader. And now within less than three weeks both the questions are answered. 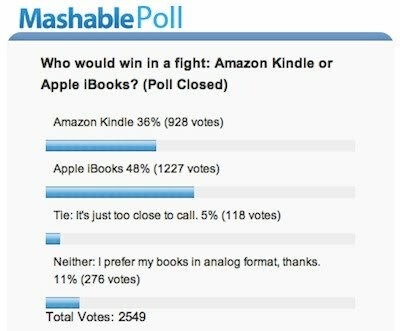 iPad is snatching away market share as well as mindshare from previously top selling E-reader Amazon Kindle. Dell is getting serious about the smartphone market and the slides posted by Engadget reveal their upcoming smartphone like that includes both Windows Phone 7 and Android handsets. 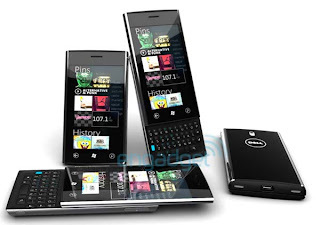 The oddly named devices will include Windows Phone 7 based handset called Lightning (image on top) followed by three Android based handsets called Thunder, Flash and Smoke. 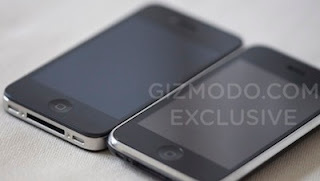 Yesterday, Gizmodo posted detailed external preview of the next gen iPhone that was found in a bar in Redwood City camouflaged to look like and iPhone 3GS. Today the website has dissected the next gen iPhone and posted photos and details about the internals of the iPhone. 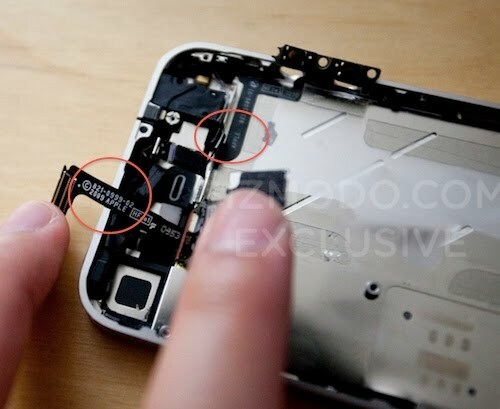 The dissection confirms that the phone is from Apple, as Apple is written prominently in three separate places inside the case. Apple today announced financial results for its fiscal 2010 second quarter ended March 27, 2010. The Company posted revenue of $13.50 billion and net quarterly profit of $3.07 billion, or $3.33 per diluted share. These results compare to revenue of $9.08 billion and net quarterly profit of $1.62 billion, or $1.79 per diluted share, in the year-ago quarter. Gross margin was 41.7 percent, up from 39.9 percent in the year-ago quarter. International sales accounted for 58 percent of the quarter’s revenue. 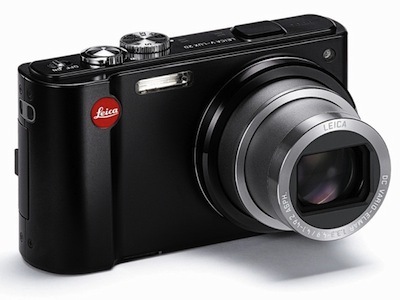 Leica has announced V-Lux 20, a 12.1-megapixel digital compact camera with 12x optical zoom lens and built-in GPS tagging. The camera features high-performance Leica DC-VARIO-ELMAR 4.1-49.2mm f/3.3-4.9 ASPH zoom lens with focal range of 25-300mm. HP has been trying to hype-up their new tablet by releasing videos showing the HP Slate in action. 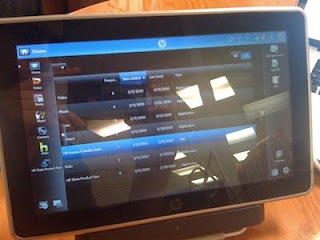 But initial impressions of the tablet posted by Conecti.ca are not very good. The website got to test the new Slate for sometime and they say it faces same problems that all the other tablets have faced since introduction in 2001. Because a PC OS (Windows 7) is used on netbook components it has longer load time on startup and sluggish performance. Verizon has announced the new HTC Droid Incredible is now available for pre-order priced $199.99 with two-year contract and after $100 mail-in rebate. 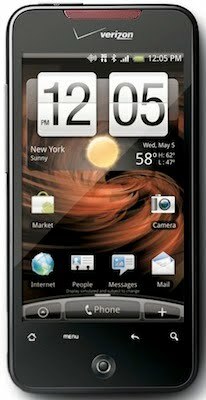 HTC Droid Incredible comes with 3.7-inch (480 x 800) AMOLED touchscreen, 1GHz Qualcomm Snapdragon processor, 512MB RAM, 8-megapixel camera with dual LED flash, 8GB storage, WiFi, Bluetooth, GPS, accelerometer, digital compass and microSD card slot. 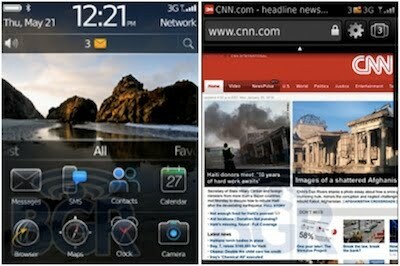 The phone is based on Andorid 2.1 and features HTC Sense UI for easy access to both social and professional life. John Gruber has posted that “Multiple sources familiar with the next iPhone have confirmed to me that the back is made out of some sort of fancy glass – and looks pretty much exactly like what’s pictured at Engadget.” He further points to an Apple patent for high-durability ceramic enclosures made using Zirconia that have glass like appearance and feel but are far stronger and more scratch resistant, and highly radio transparent for better cellphone reception. Yesterday, Engadget posted images of a device that was found on floor of San Jose bar inside of an iPhone 3G case. 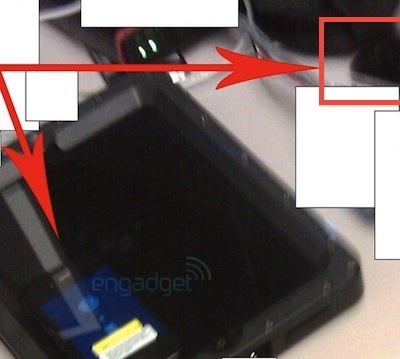 The device in the picture was believed to be the next gen iPhone that Apple will launch in summer this year. Soon after the images were published, MacRumors reported that the images were fake and the device in question was a Japanese iPhone counterfeit. Now the iPhone story has take a new turn as Engadget has posted image that shows the rumored iPhone with iPad in Apple lab. 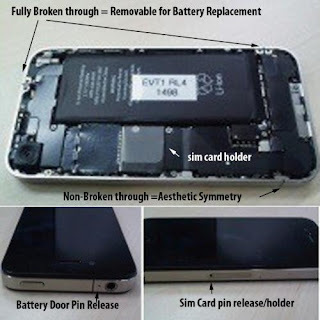 Engadget has posted photos of iPhone 4G that was “found on the floor of San Jose bar inside of an iPhone 3G case”. The phone showed 80GB storage and a decidedly new OS, before it switched off and stopped booting. The phone also has front facing camera, round volume buttons and more squarish design. 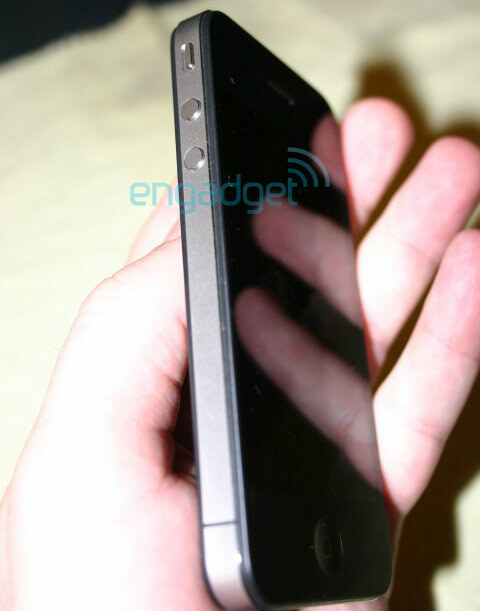 It looks slightly thicker than current iPhone with smaller screen size.